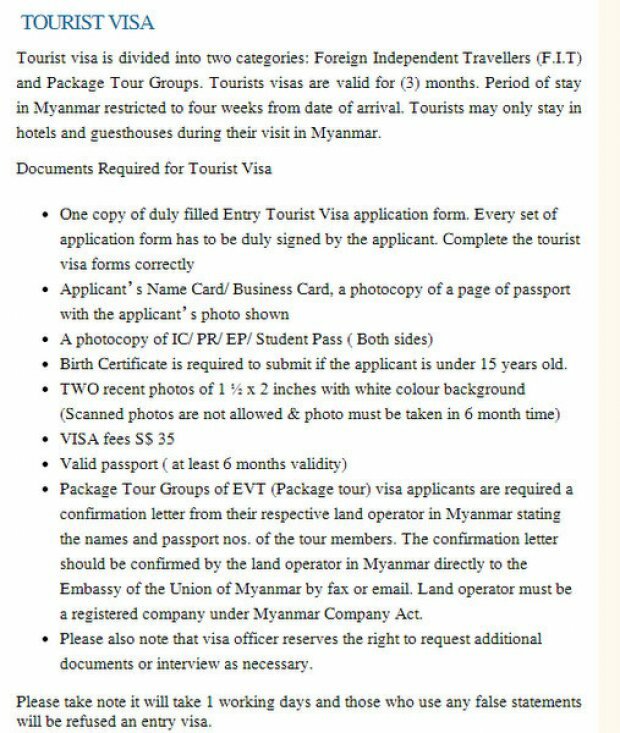 Did you know that you need a visa to visit Myanmar? 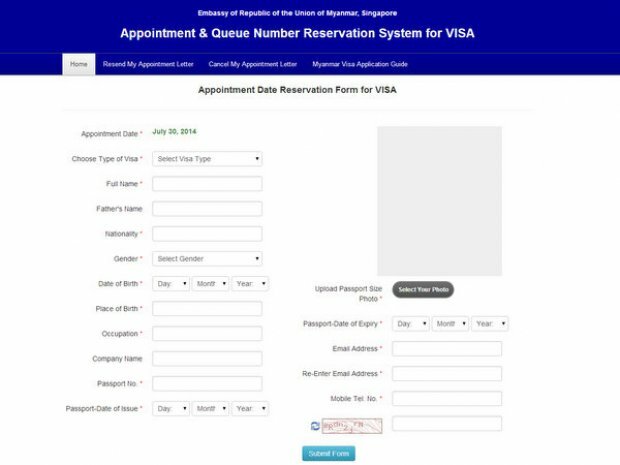 Here's how to apply for your Myanmar visa in Singapore! I recently returned from a trip to Myanmar, where I was on a tour group and didn’t get to do a lot of things on my own. That’s why I’ll definitely go back. 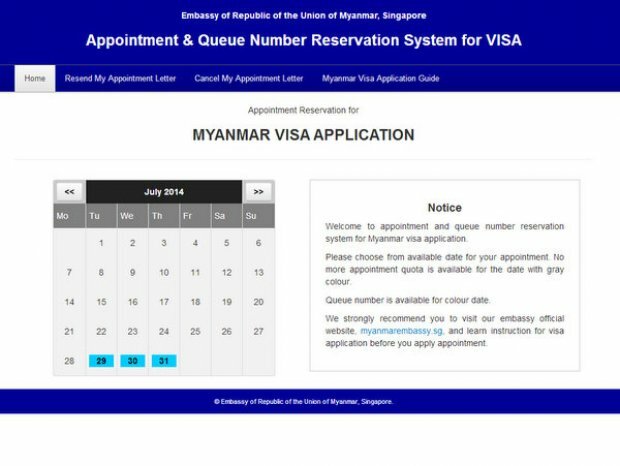 However, first, here’s a guide to applying for a Myanmar visa in Singapore. 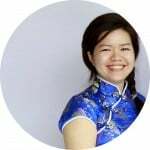 When I was told that I could go to Myanmar, I only had less than 2 weeks before departure so I had to be quick about my visa application. In the end, my curiosity made me choose the second option. After my journey to the embassy, I’ve concluded that it’s really easier and cheaper to get a travel agency to do it for you. 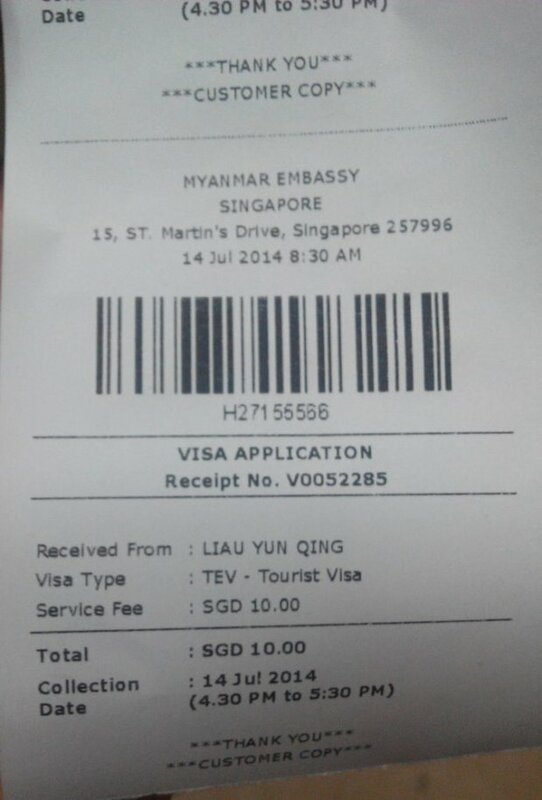 The tourist visa fee is SGD 35 but there is a hidden administration fee of SGD 10 that they don’t tell you about. Since the embassy is not in the most convenient location and the visa application hours are crazy, you should just save your taxi money and get the visa done at a travel agent. If you still want to go through the visa application personally, here are the details. 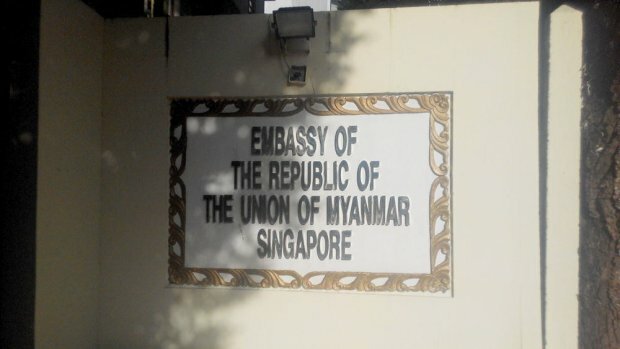 The Myanmar Embassy website is quite straightforward and will send you an e-mail telling you everything you need to do. The embassy now has an online appointment system where you need to book a date for when you are intending to head down to the embassy. I recommend giving yourself an extra day to fill up the form because there may be things that you need to prepare but do not have at hand. Apart from the usual personal details, you’ll need a digital photo to upload to the system so do make sure you have that on your computer. I chose to take a photo of my passport photo to upload to the system. I didn’t want to risk them rejecting my visa application because my hair was swept in a different direction. After your appointment, the embassy will send an email with some documents that you need to print out. It’s best to print out all three of them. 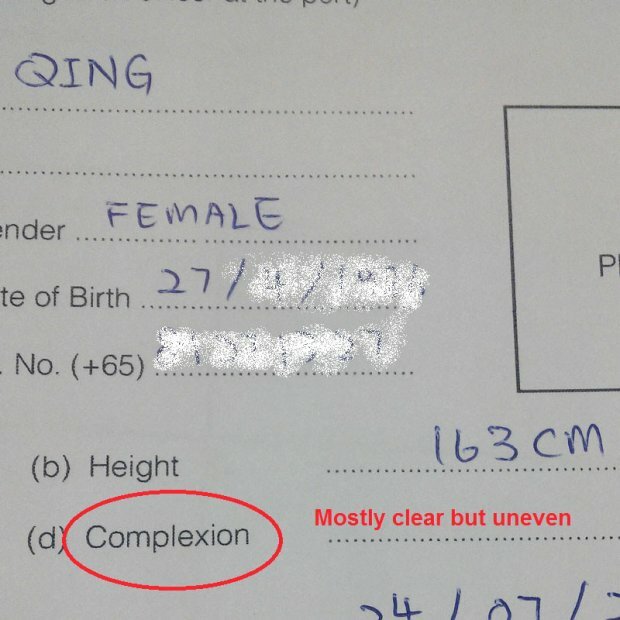 The form is pretty straightforward but there are parts that made me go, “Huh?” This part about my complexion made me pause a while. This step takes a bit of time to get done because there’s a lot of things you need to bring. Please bring an extra SGD 10 to the embassy on top of the SGD 35 visa fees because you’ll need to pay the administration fee. There are two contradicting opening times listed in the documents that I received. One told me to be at the embassy before 8am while the other said to reach before 9am. Even though there is a queue number in your appointment letter, I don’t think there is an actual queue system. I arrived at the embassy around 8.15am and queued at the yellow “Foreigner” building. There were about eight people in front of me. Then around 8.30am, the counters started operating, even though the forms said the opening time was 9am. Well, anything quick suits me well. The actual handing over of forms and other documents took about five minutes. I received a collection note, and the man at the counter told me I could collect my visa in the evening. He also said that a representative can help with the pick up as long as they have the collection slip. The visa should be available on the same day, unless your application looks suspicious. My sister helped me collect my visa so I didn’t have to take time off work and take a cab to the embassy. After all the trouble, I recommend applying the visa using a travel agent. You won’t need to take time off work to apply and it might be just SGD 20 extra (which is less than the taxi fare to and from the embassy twice). Hopefully, you’ll have a smooth journey with your visa application before flying off to Myanmar!